Fru-Gal.org: Target Cartwheel: 40% off Maternity! Target Cartwheel: 40% off Maternity! 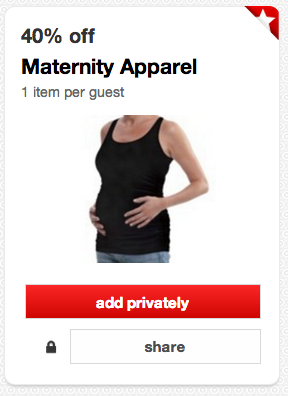 Target Cartwheel is offering a 40% off maternity clothes coupon. 1 item per guest. Offer is valid through February 15th.